“Learn what you love, love what you learn. Do what you love, love what you do. And never give up.” These words was the summary as well as the closing of Media Tech Talk (TMT) on Tuesday (15/3). 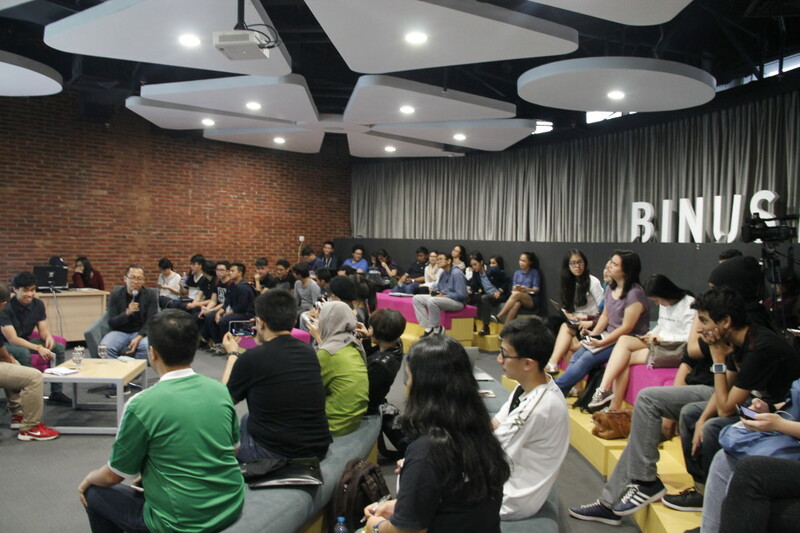 The weekly talk show, organized by Binus University International Communication Programme students, always features speakers that inspire audience and the younger generation at the wider scope. 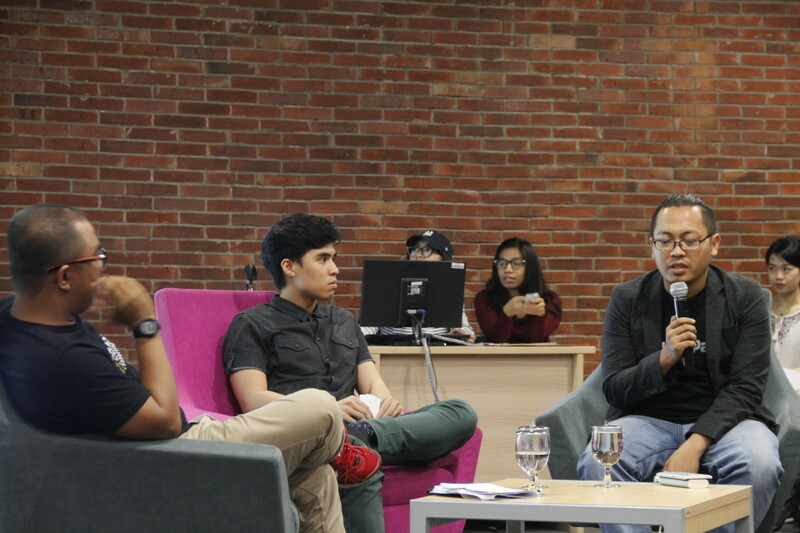 At the latest TMT on the theme of “Technopreneur”, 2 inspiring technopreneurs were featured, Bukalapak.com Co-Founder and CEO Achmad Zaky and Selasar.com Founder Miftah Sabri. 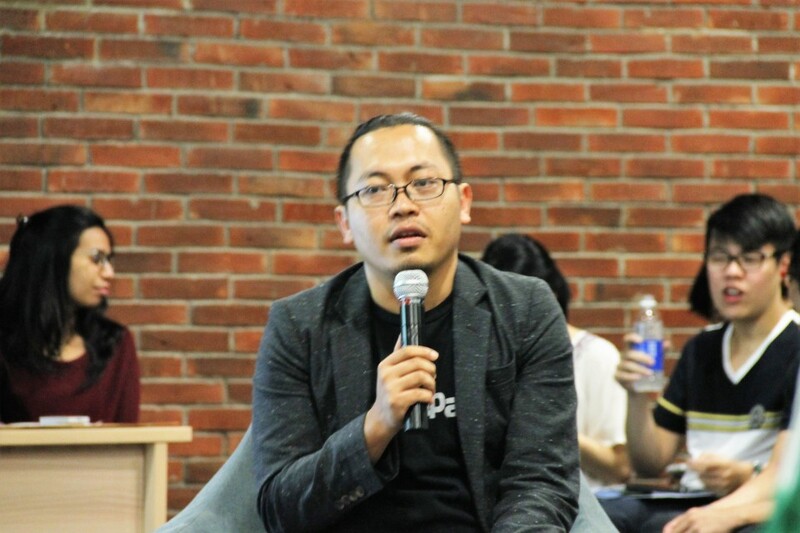 Bukalapak is known as one of Indonesia’s online marketplace companies, successfully obtaining billions of rupiah finance from a Japanese investor. Bukalapak currently has approximately 500,000 merchants which are known as pelapak. In 2016, Bukalapak targets at seeing 2-3 millions of pelapak joining Bukalapak. The figure is fairly small if compared to the number of Indonesia’s micro small and medium enterprises (MSMEs) amounting up to 50 million businesses. While Selasar.com is an platform for idea exchange or idea’s marketplace and monetization is obtained through deals or projects that are generated through interactions on Selasar.com. These two people are no newcomers in the entrepreneurship world. Zaky’s previous business experiences was begun on a small scale, when he was still a high school student. In college, he enhanced his entrepreneurial skills more intensely. Zaky joined an entrepreneurial club and initiated a number of businesses, one of them was on-cart meatball business for which Zaky owned a number of carts. “Zaky had up to 10 carts for his meatball business,” recounted Miftah Sabri who has known Zaky since they were in college. However, his meatball business did not last and then he attempted to open a software-making business, something that matches his educational background of the IT Department, Bandung Institute of Technology, with his friend Nugroho Herucahyono. 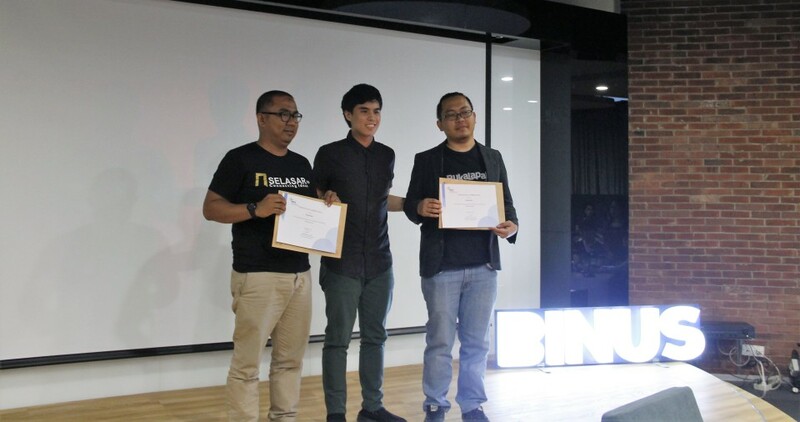 “Bukalapak was started out from a customized application-making business with my college mate, Nugroho, and was run from out boarding house’s room,” said Achmad Zaky. In 2009, its users were only zero, but soon the online marketplace began operating. In 2011, the majority of goods sold in Bukalapak is bicycle, therefore creating an image that it is the online marketplace for bicycle enthusiasts. However, current users amount to approximately 500 thousand to two million people per day interacting in Bukalapak.com. Meanwhile, Miftah Sabri is a literature and social sciences enthusiast. He had the first experience of making money from his own effort while he was six years old. At that time, he lived with his grandmother in North Sumatera, in an area near a tourist attraction. He attempted working as a tour guide for American tourists. He got his first USD10 from these foreign tourists. This first experience became the cornerstone for his next business adventures. Being a social sciences enthusiast, he was actively involved in campus organizations. He became Chairman of Senate in the Faculty of Social and Political Sciences, University of Indonesia (UI) in 2005. Later, he became a researcher at UI’s Centre for Political Studies and the Indonesian Survey Institute. At that time, he was again selling his social expertise when he met Achmad Zaky in a quick count software-making project for the 2009 election. A little while after, Miftah set up his political and communication consulting agency. Unfortunately, it did not last very long. He continued his business adventure. But, the next business was slightly out of his domain, which is opening a Padang restaurant in Saudi Arabia. Again, the business failed. For the moment, he used his spare time to travel around before starting back his business. Until finally he decided to open a Padang restaurant in Bali. This time, it was quite successful. However, his interest in the social sciences domain began ticking again and soon he ran a related business which was also associated with digital technology, given the digital era. He met Zaky again and worked together. Based on his idea to liaise or provide platform for ideas exchange for experts, Zaky also helped in the platform’s technical development. Selasar.com was then established as a means of ideas exchange between experts. Now Selasar.com is recognized by experts and public figures such as Anies Baswedan, Hikmahanto Juwana, Fadli Zon, Mahfud MD, Hasyim, Romo Mudji Sutrisno, and many more. From the story about the two entrepreneurs above, we can conclude that failure is part of success. Success can not be achieved in an instant, but of course through various failures. Therefore, perseverance is a prerequisite to success. Perseverance continues to exist if we have great and noble dreams. 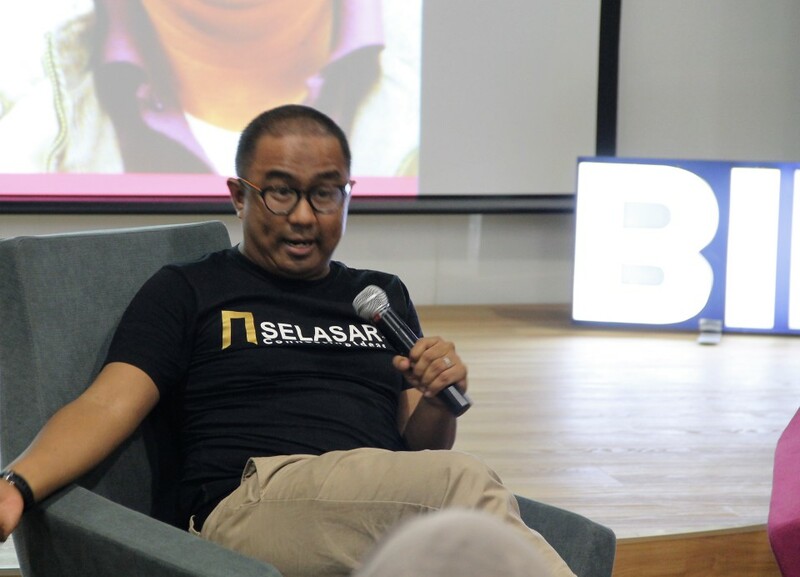 “Bukalapak was founded by two crazy young people who dream about development of Indonesian SMEs,” Zaky said about his dream. In an internet era like this, he did not want to see Indonesian younger generations only consuming the existing contents. “I want to encourage the younger generations to produce something, not only consume,” says Zaky. Miftah also admitted Zaky’s entrepreneurial spirit. “Now Zaky is close to success. But, he will become more successful. He is expert in reading the market,” said Miftah. He also advised the audience that the key to success is, “Learn what you love, love what you learn. Do what you love, love what you do. Also never give up (persistence),” he concluded.